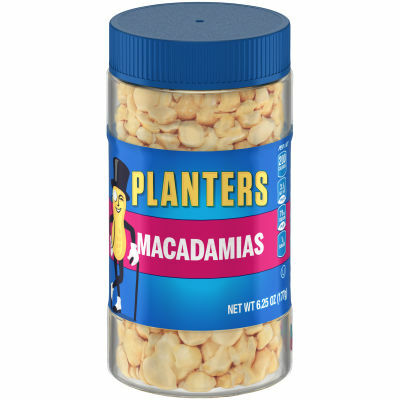 Dry roasted without oil, Planters macadamias are further enhanced with a dash of sea salt. These macadamias are perfect for mid-day snacking, or can enhance your favorite salad. Available in a resealable plastic jar to prevent spills, these macadamias are always fresh. Serving size 1oz (28g/about 27 pieces).